The Grand receives corporate and funding support from selected organisations locally and regionally. If you would like to support the Grand Theatre you can in many ways, support our programming, creative learning, day-to-day running costs, customer comforts or capital projects. Arts Council England champions, develops and invests in artistic and cultural experiences that enrich people’s lives. They support a range of activities across the arts, museums and libraries – from theatre to digital art, reading to dance, music to literature, and crafts to collections. Arts Council England believe that art and culture make life better, helps to build diverse communities and improves our quality of life. Great art and culture can inspire our education system, boost our economy and give our nation international standing. Arts Council England invest public money in great art and culture for everyone, everywhere. They fund major organisations that serve the whole nation as well as, many smaller companies, individual artists and arts-related projects. The role of the Friends of The Grand has changed over the years since it was formed in 1973 to save the theatre from demolition. Nowadays, Friends support the theatre in different ways. They raise funds from subscriptions and social events to finance projects within the theatre, primarily aimed at enhancing the comfort of our patrons. Over the last twenty years the Friends have contributed in excess of one million pounds towards projects including the provision of new carpets, seating and technical equipment and the large Capital Project in 2015. 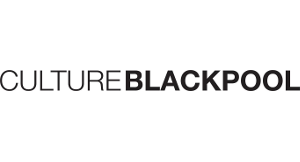 Blackpool Arts Service provides Blackpool’s residents and visitors with access and participation in a wide range of high quality arts activities, which are delivered in partnership with a range of organisations such as Arts Council England. Blackpool Council work with all art forms, including music, dance, drama, new media, creative writing, visual and public art. Corporate and Funding Support – Blackpool Pleasure Beach is an amusement park with a unique blend of 125 legendary rides and famous shows! There’s Nickelodeon Land and its 12 exciting rides across the fantastic worlds of some of the world’s most popular cartoons, including SpongeBob SquarePants, Avatar Airbender, Dora’s World Voyage, and Rugrats Lost River. There are also family theme park rides for all ages, like Wallace & Gromit’s Thrill-O-Matic, Tea Cups, Thompson Carousel, Dodgems, Go Karts, and a super scary Ghost Train. Blackpool Pleasure Beach is famous for its exhilarating selection of head spinning roller coasters, including the world famous The Big One, the Big Dipper, Infusion, Valhalla, Ice Blast, and our thrilling latest addition Red Arrows Skyforce. LeftCoast is a programme of arts and creative activity happening across Blackpool and Wyre. LeftCoast was brought together by a local partnership of organisations including Blackpool Grand Theatre, Blackpool Coastal Housing, Blackpool Council, Wyre Council and Merlin Entertainments. LeftCoast is funded by Arts Council England’s Creative People and Places Programme and support of the local partnership. To support The Grand or discuss details of supporting us, Contact Us.